Stories can galvanize and inspire, soothe and amuse, root us in memories, and create bonds. Some stories we carry with us from lively conversations around campfires or cafeteria tables; some have their genesis in generations past, and are given to us by our families and communities. 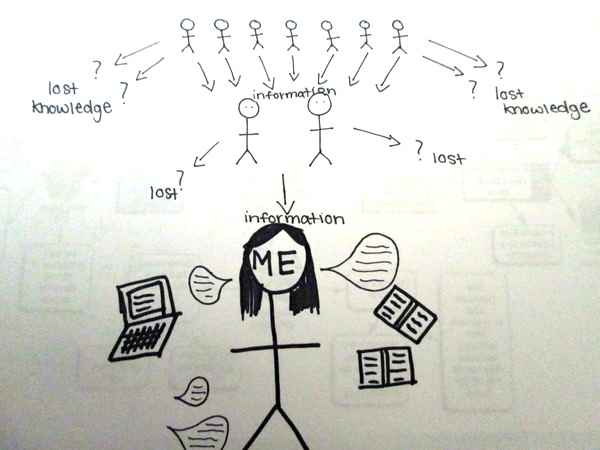 But how do our individual stories relate to the world? Through his walk, Paul Salopek is retracing a human journey that spans 22,000 miles and nearly 60,000 years: it is an epic story of where we have been and where we are going. Recently, we asked students to relate their lives to a larger human story, and to share their thoughts through words and diagrams in the space of our online community. What emerged was a collection of narratives that illuminate diversity and intersection among young people across the globe. Through their storytelling, students are making sense of their lives and all that they’ve been told. They are giving order to what they find meaningful about the past, and giving shape to the future they will create. Pondering the connections between story and history, Santa J. in Vancouver voiced the importance of discernment, and of being conscious of all that we do not know. By highlighting “myths” about aboriginals that are common in her country, she points to how popular narratives can mask troublesome gaps in our knowledge. As learners in a global community, these are holes in understanding that can be uncovered and addressed. Stories are also important expressions of how we want to be known. 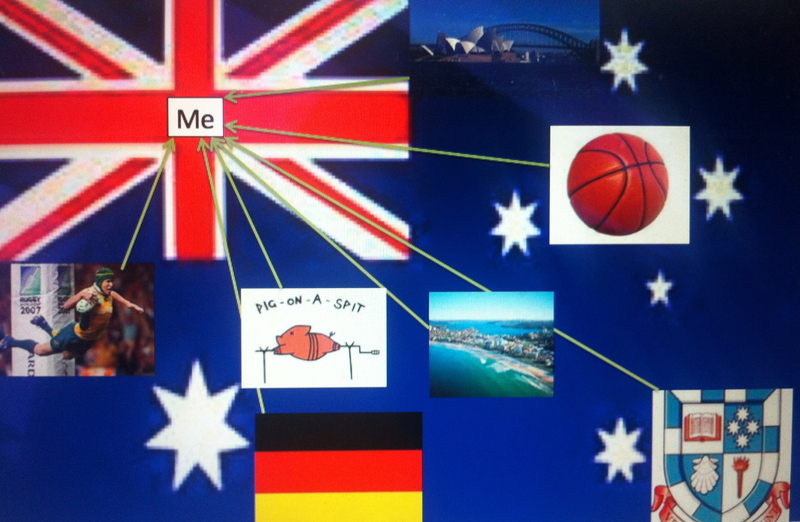 Many students chose to use the frame of nationality to represent how their lives fit into a larger human story. 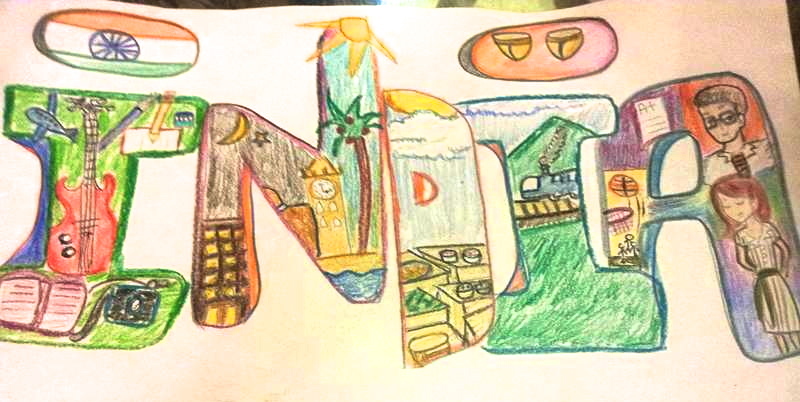 Alisha D., writing from Mumbai, chose to depict her interests, values, and goals within the outlines of the word “India.” Austin S. chose to situate himself at the heart of the Australian flag. These images speak to how nations are structured by narrative, and how people can embody the stories of lands. Sometimes these stories are of multiple lands, linked by histories of colonialism. Writing from Mumbai, Amelia, Rambo, and Antonio expressed that their language, clothing, and schooling have been heavily influenced by the British rule in India. In such ways, young people’s lives can be sculpted by histories beyond their lifetime; they are shaped by the world they inherit. Yet the world is not still. Empires change, boundaries shift, people act. Through imagining different narratives of their selves, communities, and lands, young people can choose the journeys they desire to make real. As one student reflected, a nation can grow from an “ugly past” of discriminatory policies to a “free, multicultural country” for all. Across borders, we can strive to correct prior injustices, and stand on the shoulders of those who have led before. Guided by the stories we want to tell future generations, we move the world forward. *Please note that pseudonyms are used to protect the privacy of students in the project. Beautiful story about the stories we inhabit, Jessica. Thank you, Paul — for your comment and for the inspiration too!